Outstanding Crochet: Are pattern magazines compensation to designers fair? My answer is no. Are pattern magazines compensation to designers fair? My answer is no. It's been stressful time for me recently. I just want to share what I am working on. 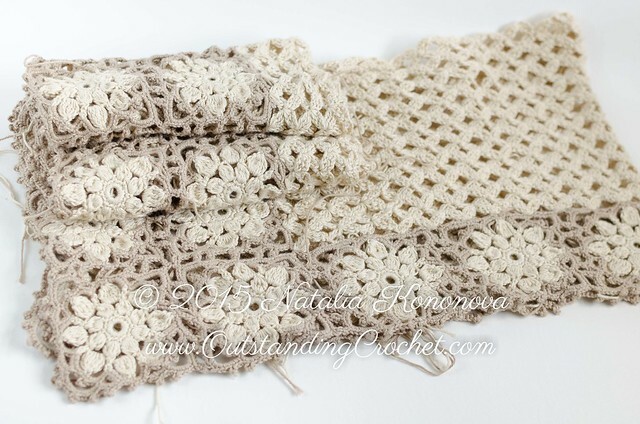 My submission to Piecework magazine Vintage Crochet was approved, so I am working on that pattern right now. I am afraid it would be my last pattern to submit to magazines though. I don't know how designers survive to be honest with you! I will spend 2 weeks making this garment out of size 10 thread, I have to write down the pattern and size it. Add time to come up with the idea! All they pay for that $275. I also have to make lining! I am proud my design was accepted, I am glad to have this experience, but I don't know why on Earth I agreed, it is such an underpayment. Not fair at all. I am also working on Granny Square Cardigan, which is completely seamless. This pattern will be available in my shops. Testing for Turtle Neck Knit&Crochet Pullover Pattern was finished today. I am getting ready to place it in the shops. And last, but not the least I am getting ready to move at the end of this week. Moving through the house has been a challenge, it's all packed with boxes. yes, that's my exact thought, good experience. Thank you! I agree, that's a pathetic amount. I wonder if they pay the same for simple designs involving less time? if so, they need to rethink their policies else they'll run out of designers! Good luck with your house move. 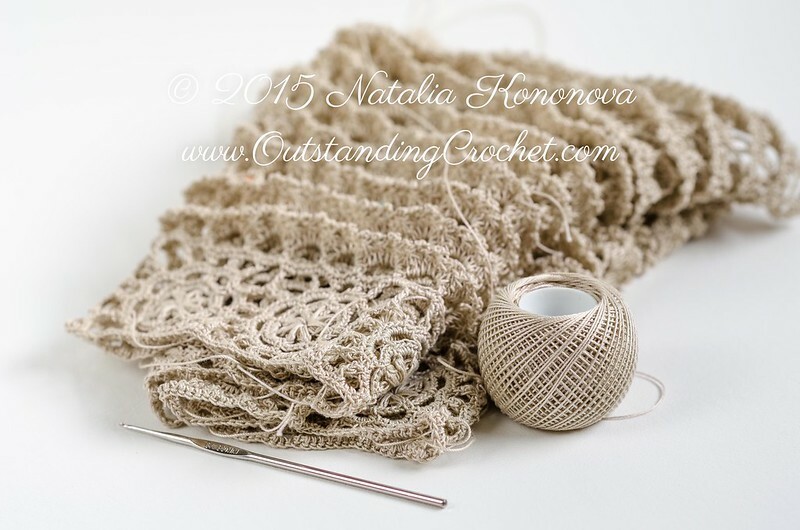 Your comment made me willing to write to my contact at Interweave and ask that question. :) Thank you! Have you considered publishing a book? I have, but I am not sure where to start yet. Thank you, need to work on that.